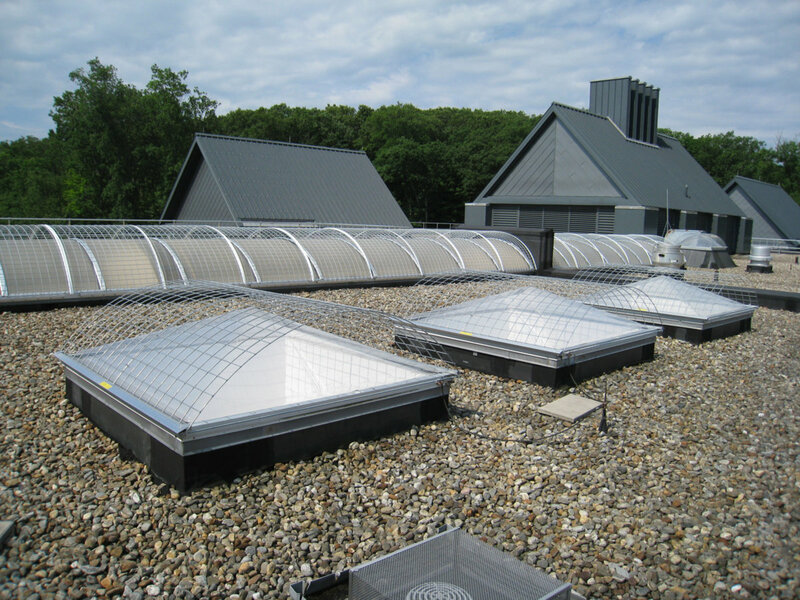 OSHA considers a rooftop skylight to be a hole in the roof surface. 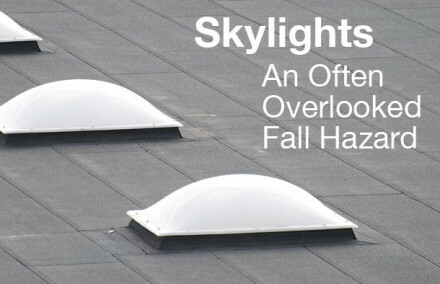 A skylight that is accidentally stepped on or fallen into can break and cause a fall from a fatal height. 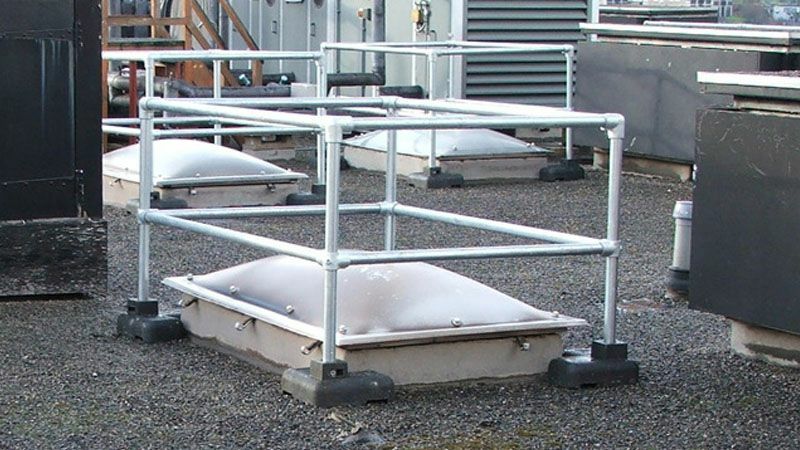 If skylights are in the vicinity of any work area or walking surface, they must be protected with the appropriate fall protection screens or guardrail. 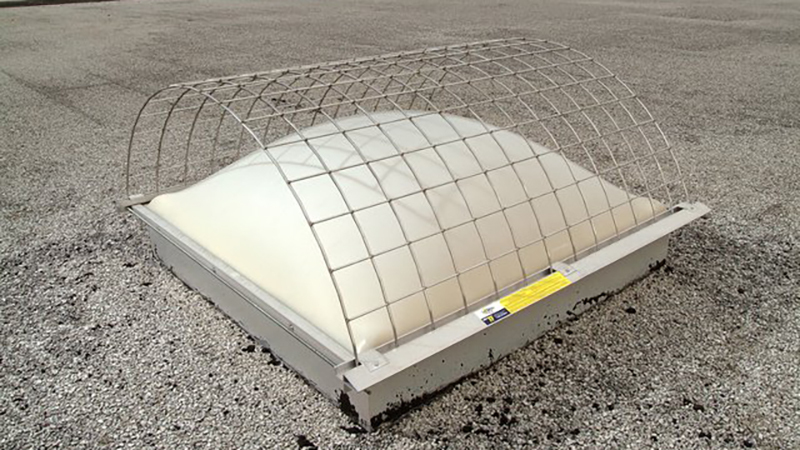 Skylight screens (or skylight cages) provide fall protection by covering the skylight with a wire mesh framework. The wire mesh will let light through, but is made to absorb the weight of a falling person. 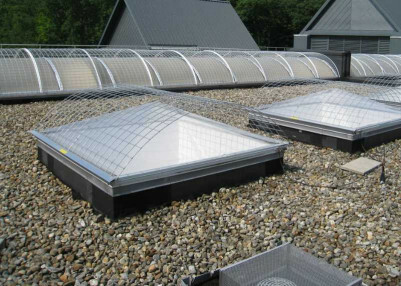 Skylight screens come in several styles and can protect most of the skylight types that are currently being used. Skylight guardrail works the way that you would expect -- it puts a barrier between the person and the hazard. 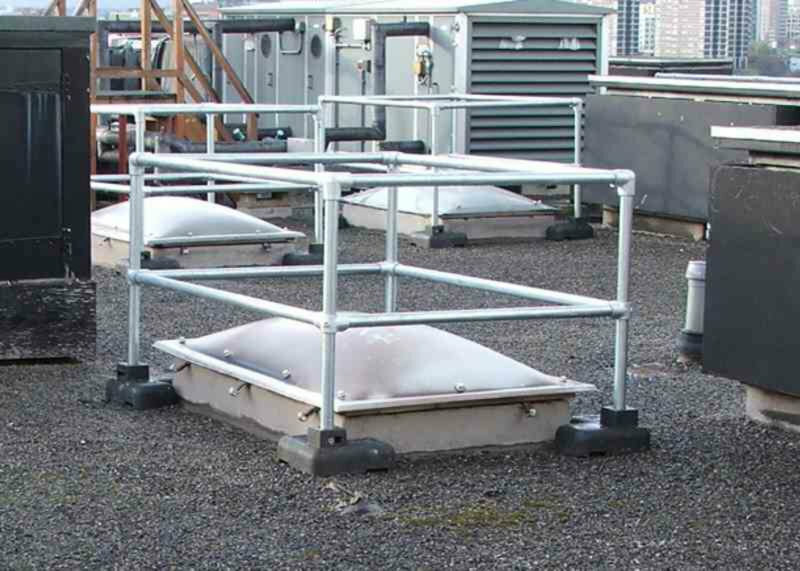 Skylight guardrail has special bases that do not penetrate the roof. Will it Penetrate the Roof? If somebody was walking on a construction site and saw a large hole in the roof with nothing around it, they would immediately recognize this as unsafe. It is an opening that leads you to a 30’ drop onto a hard surface.